Dental hygienists and dental therapists are professional clinicians who are an important part of the dental team. 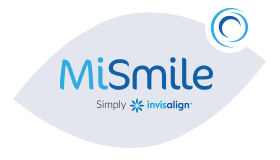 They work alongside dentists helping you to maintain a healthy mouth and smile. 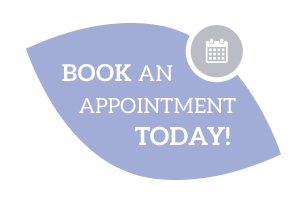 Your dentist will refer you to see a dental hygienist or dental therapist if appropriate. These specialist roles play a vital part in maintaining and improving the oral health of our patients. Scaling is a process using specialist ultrasonic tools and dental instruments that removes tartar (calculus), a hardened form of plaque, which makes it more difficult to keep your teeth and gums free from harmful bacteria. Polishing your teeth removes stains, such as tea and coffee, red wine and tobacco, as well as making it harder for plaque to stick to your teeth. This helps to keep your teeth clean and may make them appear whiter. Regular scaling and polishing will help keep your teeth and gums healthy and make it easier for you to keep them clean at home. Deep Scaling is cleaning the teeth particularly the roots to help treat gum disease and prevent early tooth loss. Working below the gum line the hygienist will knock away heavy plaque build-up. Sometimes local anaesthetic is given to make this treatment more comfortable. When the procedure is finished the patient may notice some tender areas or teeth may seem more sensitive when drinking or eating hot or cold items. Symptoms usually diminish within a few days and can be treated with over the counter pain killers. Once your treatment is finished, we will talk to you about the best way of cleaning your teeth and gums at home. We can advise on how best to look after your implants, crowns, bridges and dentures. In additional to being able to perform the duties of a Dental Hygienist as outlined above, Dental Therapists are also qualified to carry out certain items of dental treatment as prescribed by a Dentist. Importantly, Dental Therapists do not carry out a patient’s initial diagnosis, but work under referral from a Dentist following a checkup.